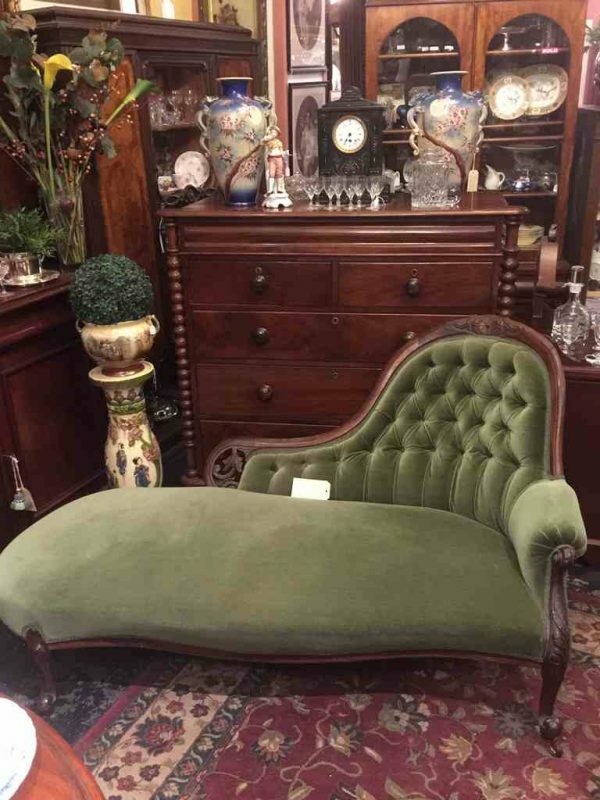 Antique Victorian chaise lounge in good original condition circa 1880. Stylish and elegant, upholstered in green velvet with an Australian cedar frame. Another excellent example of good quality antique furniture at Melbourne’s best value for money antique shop.